Stu, Sandra, and the entire Jacobson family have been generous supporters of First Place for many years, and we're taking this time to celebrate them, and what they've allowed us to accomplish at First Place. We'd love to see you here on May 23rd @ 3:30 Pm for the dedication ceremony. May 23rd is also Multicultural Night. This is a time for us to celebrate the diversity and backgrounds of the Preschool students and families. 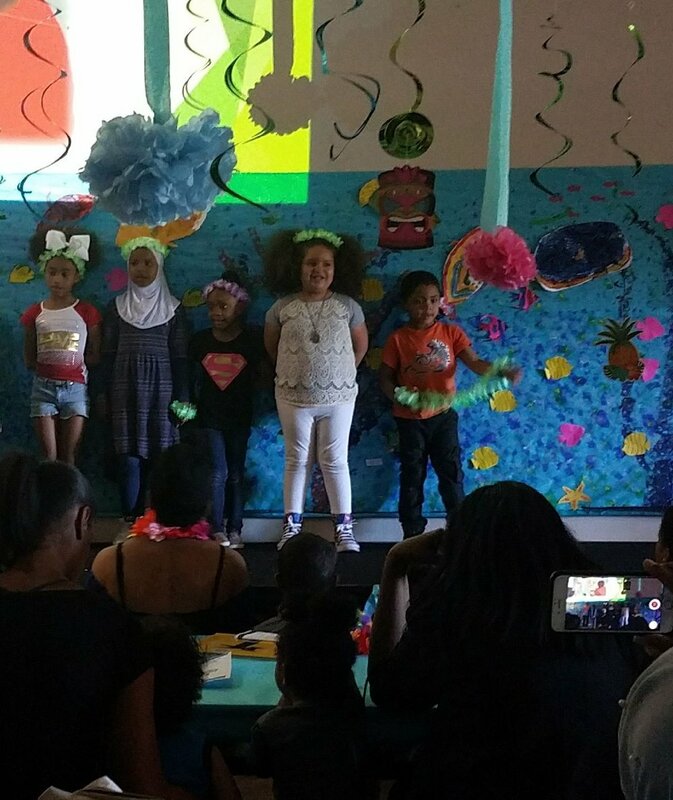 The Doreen Cato Early Learning students performed at the 5th Annual 2018 State of Africatown event at the Langston Hughes Performing Arts Institute, on Saturday February 17th. The State of Africatown covers the accomplishments of the year, as well as the changes facing the African American and African Diaspora community. As an African American run preschool, the Doreen Cato Early Learning Center at First Place is one of the accomplishments of this community. The students sang a tribute song to Dr. Martin Luther King, Jr. and individually said what their dream is for the future. Watch the video recording of the State of Africatown Event on the Seattle Channel. The student's performance is about 24 minutes into the recording. 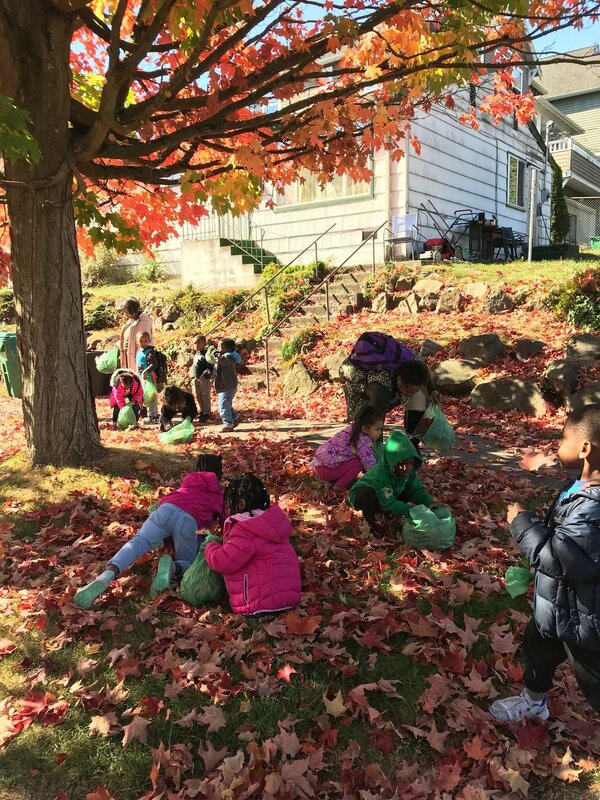 Fall is here, and the Doreen Cato Early Learning Center is incorporating the season into our curriculum. The children are beginning to study trees. The'll be observing and comparing trees to learn about what lives in them, what they’re made from, and who cares for them. We hope that this study will help children explore and appreciate nature. 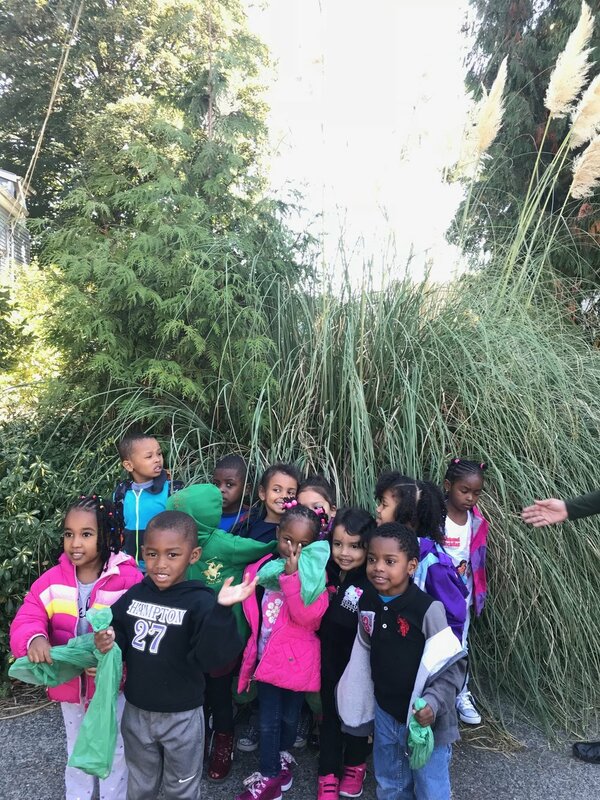 This week the children took a nature walk on a beautiful fall day to collect and investigate the parts of trees that have fallen, like leaves, bark, acorns, twigs, flowers, fruit, or cones. As they study trees, we will use literacy, math, the arts, and technology to explore the topicsin depth. We will learn important social studies and scientific concepts through firsthand investigations. School is back in session. Let's get to know the teachers at Doreen Cato Early Learning for the 2017 - 18 school year! Mrs. Verna has been at First Place for three years. She has been in the Early Learning field for over 30 years. She works in Early Learning because she loves children sees this work as her calling. She enjoys seeing the children learn and develop. Her desire to see them thrive and the joy she finds in meeting new and different kinds of people is the driving force behind all of her hard work. Thank you Mrs. Verna!! Mrs. Stacy has worked with children for most of her life. She is a fun loving, compassionate teacher who enjoys what she does. She learns through teaching and feels it allows her to be herself. She has over 20 years experience working with children of all ages. Welcome Mrs. Stacy, we’re happy to have you! Miss Daysha began her career as a preschool teacher right out of high school. She doesn’t see this job as work. The education of young people comes naturally for Daysha, and she uses it to inspire her to cultivate critical thinking. Daysha is currently in college pursuing a Bachelors of Early Learning and Education with hopes of working in under-served preschools overseas. Daysha, you are an asset to Doreen Cato! 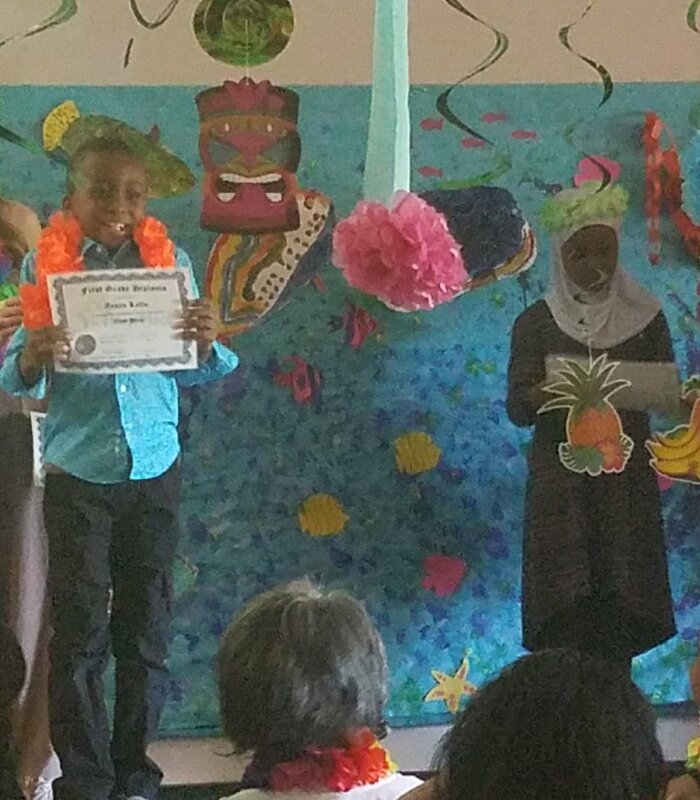 On Thursday June 23rd, First Place had a Graduation and Achievement ceremony for all of their students. In addition to receiving a diploma, the students participated in an end of year performance for their parents and family members. The performances included songs and poems, and an impressive display of all of the things the preschool students have learned this year. All of the students did a wonderful job! The event was an Under the Sea Themed Luau. After the ceremony we had a potluck, and the children received gift bags with toys, games and school supplies for next year.